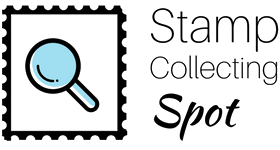 Any suggestions for a book/catalog for a stamp collector? My dad has renewed interest, but does not want to use the internet! He has a variety of United States stamps. Thank you! Definitely get the Scott Specialized Catalog of United States Stamps & Covers. This is the standard reference book for U.S collectors. I would also suggest the Encyclopedia of United States Stamps and Stamp Collecting. It is loaded with information about U.S. stamps, and is a good way to find more information about each stamp than the basic info the Scott catalog provides. You’re welcome! Let me know if you need anything else! Well, thank you! Here’s just one more question, do you advise that I purchase the most recent edition? Thanks. For the Scott catalog, I personally don’t think it matters. I have one from 2013 which works just fine. The main difference between the most recent edition and those from several years ago is the catalog value for each stamp (which doesn’t change that much). The minuscule updates don’t justify the high price tag in my opinion, but they may be important to your dad. Stanley Gibbons do a useful catalog for the United States, it is part of their specialist catalogs (part 22) and is widely available. It may differ to the Scott catalog, and there may well be some conflicting information, but the benefit of this is to draw your own conclusions (diy research!). It also helps that Stanley Gibbons catalogs are of course written in English.